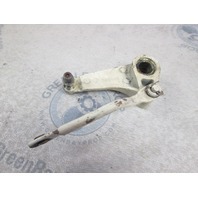 For sale is one used lever and shift lever to bellcrank rod for Johnson and Evinrude outboard motors. This shift lever and bellcrank rod are freshwater parts from Wisconsin and they have no damage (other than cosmetic) or corrosion. 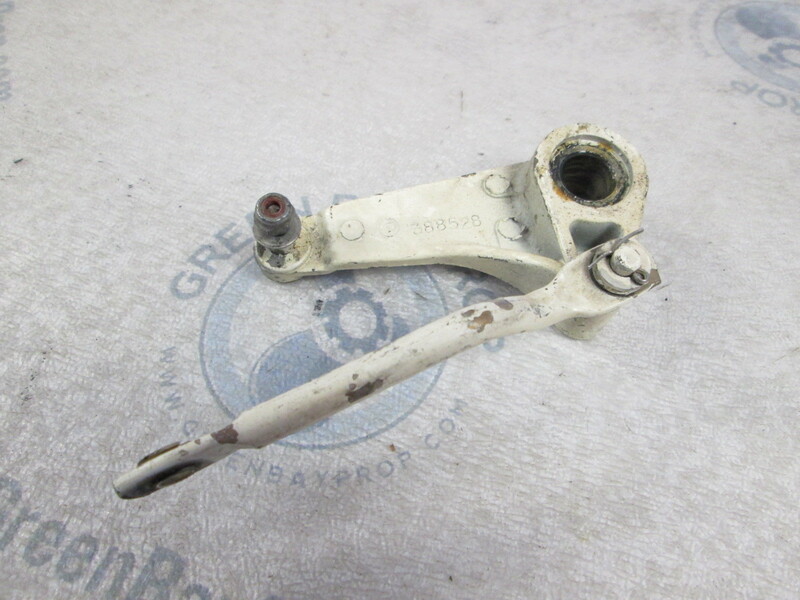 You will get a used shift lever and rod that is in a great working condition. This lever and rod fit many, but not all, Evinrude and Johnson 150-235 Hp V6 outboard motors from 1977 and 1978. Please look up your part number or ask us. You are responsible for checking to see if this fits your application. Green Bay Prop offers Used Outboard Parts for Evinrude Johnson outboard motors. Get your Freshwater Evinrude, Johnson and OMC Outboard boat parts here and see the difference. Our used Evinrude outboard parts are returnable for up to 14 days after purchase. Check out our Evinrude controls.